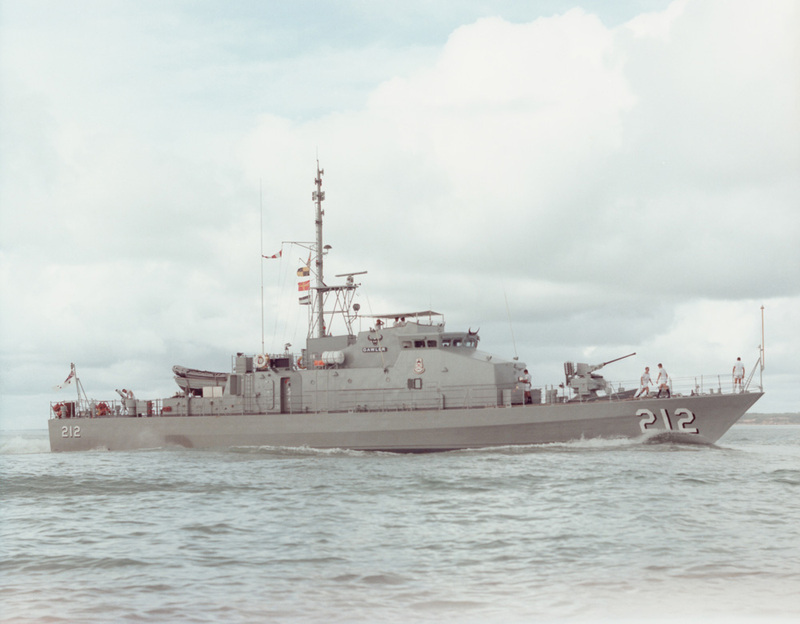 Gawler and her 14 sister FCPBs were the Navy's principal contribution to the nation's fisheries protection, immigration, customs and drug law enforcement operations. The vessels worked hand-in-hand with other Government agencies and each year they provided up to 1800 patrol days as part of the Coastwatch-managed national surveillance effort. In the event of war they would have been tasked to control the waters close to the Australian mainland. They were well prepared for their patrol duties and other operational requirements. Gawler was launched on 9 July 1983 at North Queensland Engineers and Agents, Cairns, Queensland by Mrs CM Fry, wife of the founder of NQEA. She was commissioned on 27 August 1983. 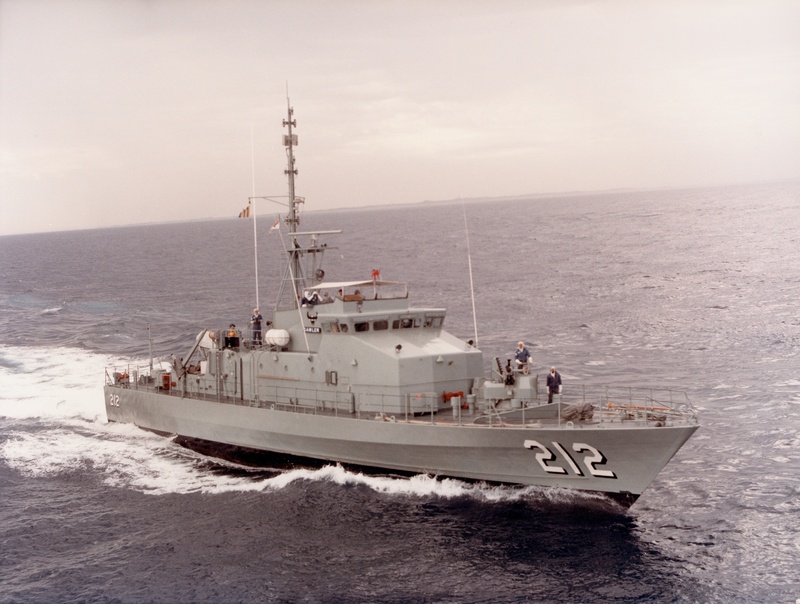 HMAS Gawler was one of 14 Fremantle Class Patrol Boats built to replace the Attack class. In addition FCPBs were central to Australia's engagement with countries in the South West Pacific region and deployed throughout Southeast Asia and the Pacific in support of Australia's strategic interests. The Fremantle Class Patrol Boats (and now the Armidale Class Patrol Boats) also supported Special Forces operations and provided a useful transport capability, particularly in disaster relief and humanitarian assistance operations. Gawler was equipped with high definition navigational radar, high and ultra high frequency communications equipment, gyro compasses and echo sounder. She was also fitted with a satellite navigation system that enabled the ship's position to be determined with great accuracy. Gawler was the second ship of this name within the RAN. 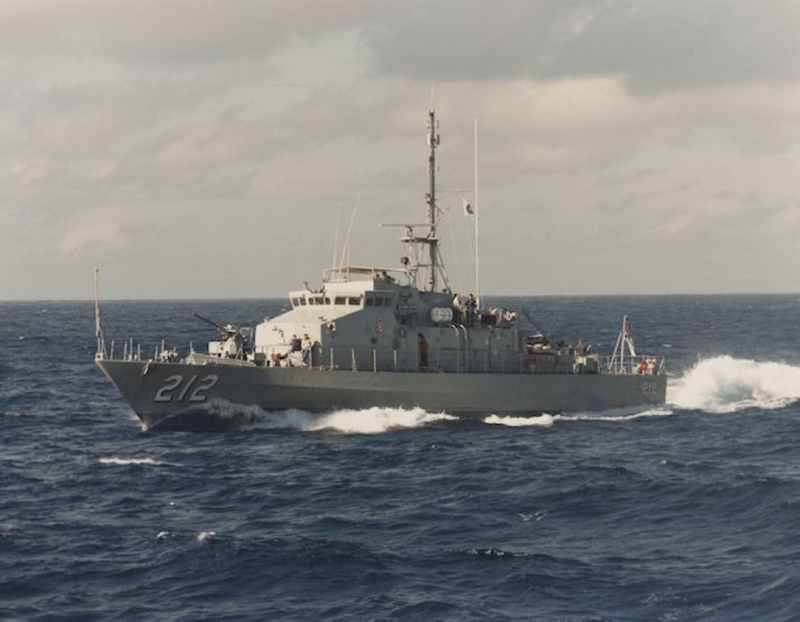 HMAS Gawler (I) was a Bathurst class corvette. Decommissioning crew of HMAS Gawler (II). HMAS Gawler (II) flying her decommissioning pennant as she sails into her home port of Darwin for the last time. Left: The guard marches on at the commencement of the decommissioning ceremony for HMA Ships Geelong and Gawler. Middle: The Maritime Commander, Rear Admiral Dayvd Thomas AM CSC RAN, takes the salute from the guard at the decommissioning ceremony for HMA Ships Geelong and Gawler. Right: Mrs. Celia Fry OAM inspects the guard at the decommissioning ceremony for HMA Ships Geelong and Gawler. Mrs. Fry was the Launching Lady for HMAS Gawler in 1983 and is now the Decommissioning Lady of HMAS Gawler. Left: Lieutenant Commander Gavin Baker, Commanding Officer HMAS Gawler, makes his address at the decommissioning ceremony for HMA Ships Geelong and Gawler. Right: HMA Ships Geelong and Gawler. 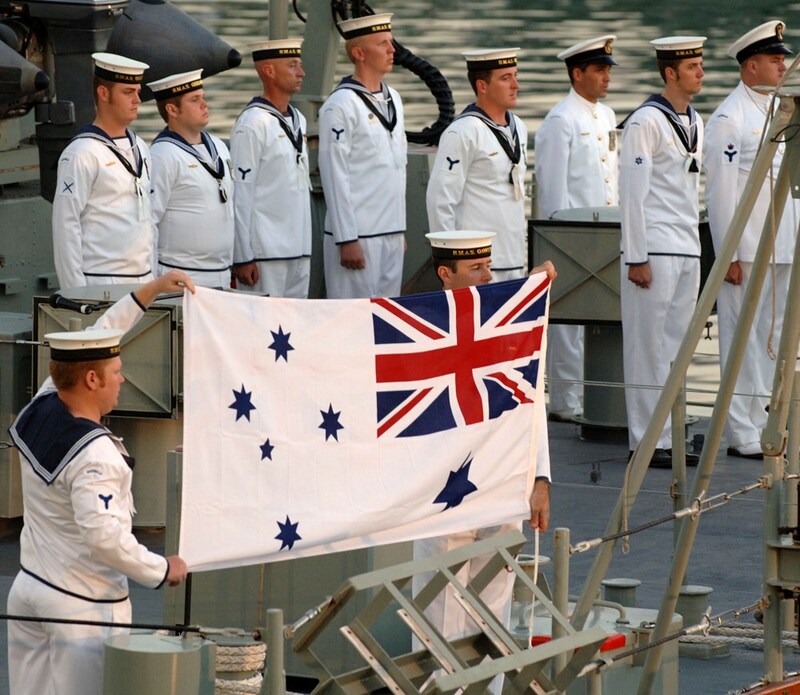 At sunset HMAS Gawler is officially decommissioned and the White Ensign comes down for the last time.